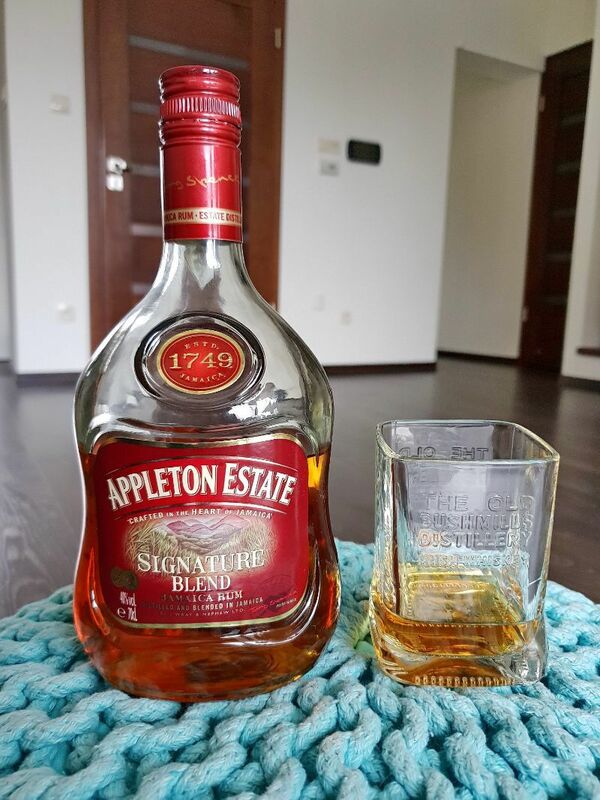 Have you found an online vendor selling Appleton Estate Signature Blend? Why they have even made this?!?!? Pass years I have had this feeling that the quality of Appleton has gone down. Even their 12-years old does not taste as it used to. I was expecting little more when I decided to taste these "relatively new ones" Signature and Estate Reserve Blend. Same crap both of them. This is not a rum that makes a bold statement or gives one a hint of any specific flavor or aroma. It is not a sipping rum after a good dinner with good company. I give it a 6 because it's a good every day rum that, for me, mixes well with a Pepsi after a long day at the office. I love Appleton Signature for tiki drink mixes, this is why I give it an 8...why bother spending more if you are mixing it. Sure you could get a 12 year Appleton and it is great but when the other ingredients blend the tiki Gods are smiling:) Aloha from West Palm Beach Fl! I'm having trouble finishing off my 1.75L of this stuff. It has a horrible metallic finish and aftertaste even when mixed. Starts good and smooth but what it ends with does not make one want to take another sip. I bought this rum when I asked for a good sipping rum, the man who usually suggests really good rums told me it was one of his favorites. First reaction when opening the bottle, my roommate could smell it from 6 feet away. It almost reminds me of a weaker Bacardi 151. I would not recommend. Horrible smell, bad taste, really rough on tongue, also in neck. No specific flavours, no reason to drink. Nice mixer, wished I saved some so I could compare with J Wray Gold. Used up my bottle making a nice Mai Tai with Clement. At first the scent comes off as if it were going to be harsh, but then you take a sip and you figure out it’s just the strong spices coming out, with a medium caramel. The rum goes down smooth, not what I was expecting. For 20 dollars, it’s definitely better than captain org. and Bacardi spiced. I’m happy with this rum. Good staple rum. It has that English style strong molasses flavour. Not complex if your looking to disect it’s flavour but still great on the rocks for something nice and reasonably priced. I'll be the first to admit that I'm not a huge fan of Appleton rums. But as far as Appleton rums go, this isn't bad! Smells and tastes of oak, spice, and orange peel with a hint of molasses. It's not as good as the Reserve Blend and definitely not as good as the 12 year, but it's not that far behind. If you like the Appleton rums more than me, you should like this just fine. If you don't like the Appletons (like myself), then you might consider spending more on the Joy Anniversary blend, which is a nice step up from the other Appletons. Given that I enjoy sipping on rum rather than use it for mixing I did not expect this rum to be a winner. Glad I only purchased a 375 ml bottle as this is well below the Appleton Rare Blend 12 year rum which I despised. This is a pretty awful rum on its own. Opět jsem byl podroben slepému testu. Kamarád nakupoval v bezcelní zóně v Egyptě, a tak jsem se zase rád nechal překvapit, co si dovezl. Shrnutí:	Podle vůně povědomé, po ochutnání už si ale jistý nejsem. Každopádně tipuju karibský rum. Přesnou destinaci si ale netroufám hádat. Něco základnějšího, ale může být odkudkoliv. Always heard good things about Appleton. But I have to say this rum is trash. Horrible taste and has a small to match. It is ok as a mixer if you please. However for the price you can get a better rum for cheaper when it come to mixing. The aftertaste was somewhat unpleasant, even when mixed with cola. Aroma is nice though as a sipper not a lot of body and has a tough edge to it. Okay as a mixer with a nice but narrow taste. Not a keeper for me. 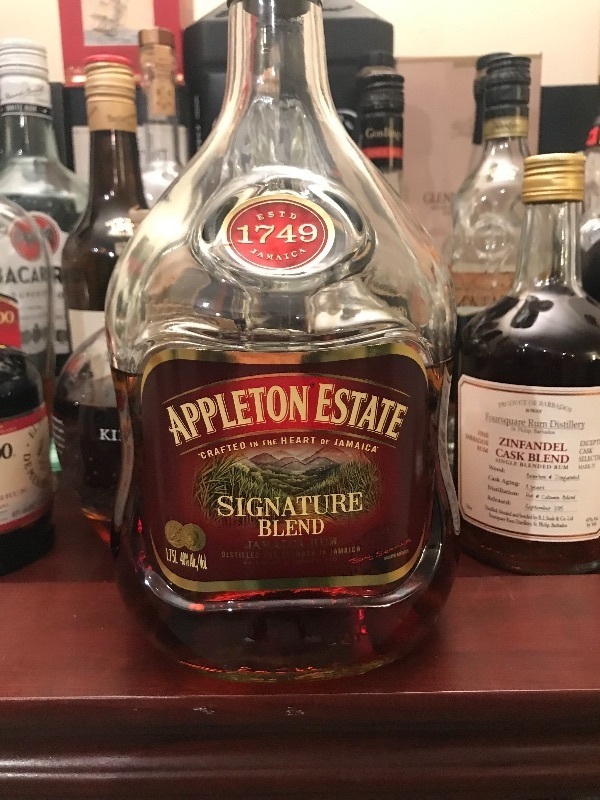 I'm not entirely sure when the quality of this rum began to deteriorate because, for awhile, I wanted to believe the dropping of the age statement on my go-to rum was meaningless. But, alas, no. It's still a decent mixing rum, but has lost some flavor and is a bit astringent. 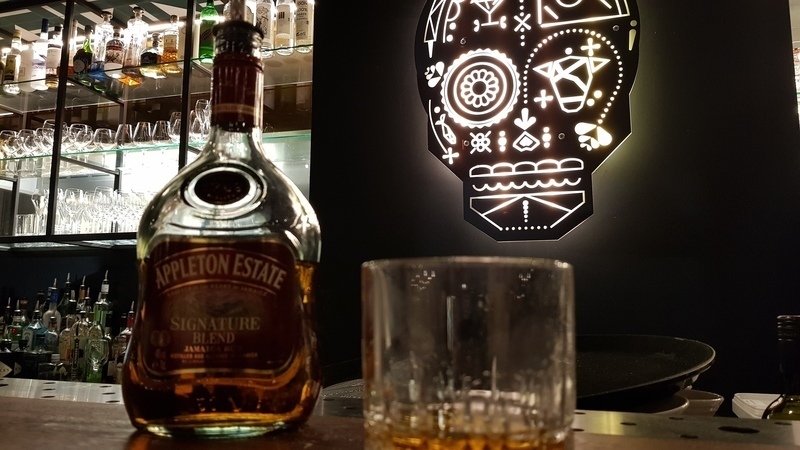 Campari's takeover of Appleton Estate likely plays a role here, and I've noticed the label is silent on where the bottling (as opposed to blending) takes place. The Reserve (one step up) is better bang for the buck if you can find it. A go to when your cocktail calls for a little Jamaican funk. Don’t let the funk steer you away from a Jamaican classic! Great entry level rum to the Appleton family ......money well spent ..
ZAPACH: Palony karmel, morele, skórka pomarańczy, ananas, melasa, wysłużona beczka. W tle kręci się słodka wanilia oraz cynamon a wszytko podbite jest ziołami oraz nutą syropu na gardło. Zapach jest intensywny, aromatyczny oraz z lekko wyczuwalnym alkoholem. SMAK: Jest dość słodko (lecz nie przesadnie), mocno karmelowo, trochę palono oraz z dojrzałymi owocami: pomarańcze, morele, mango, pieczone banany i wanilia. Alkohol oczywiście wyczuwalny ale nie można zarzucić że jest młody. Dodanie lodu ugrzeczniło ten palono-karmelowy klimat. Warto wspomnieć iż tydzień temu opisywałem dostojniejszego brata jakim jest Reserve Blend. Muszę przyznać że dziś opisywany rum jest tak samo aromatyczny jak jego droższy brat - oczywiście aromaty są mniej szlachetne ale nie jest to na tyle wyraźna różnica iż całość staje się nieprzyjemna - wręcz przeciwnie - rum jest prostszy co powoduje iż jest on przystępniejszy do spożywania szczególnie w drinku. Moim zdaniem nie ma co przepłacać szczególnie że ani jeden ani drugi według mnie nie nadaje się do picia saute bądź z lodem. Przeszło mi przez głowę jeszcze jedno przemyślenie - spotkałem się z opiniami w internecie iż ten rum jest sztuczny, perfumowany itp. Otóż proszę państwa tak nie jest - czuć tu znaczny wpływ czasu oraz beczek - to porządna zawartość. Mam wrażenie iż wiele takich stwierdzeń powstaje z podobieństwa smaku Appleton Estate Signature Blend do tanich rumów które powstają na olejkach eterycznych. Mam wrażenie że producenci tych "udawanych" rumów (W cudzysłowie ponieważ rum nie jest normowany prawnie na całym świecie, a niestety tylko w niektórych krajach i stąd pojawiają się różne "rumopodobne" wynalazki na rynku) dążą właśnie do tego smaku którym charakteryzuje się dzisiejszy bohater. I didn't have high hopes for this rum, but didn't really expect it to be this bad. I've poured some in a glass, and had a sip, then put the cap back on the bottle, and it's been sitting on the shelve since. Wasted money. Strong taste of industrial alcohol, strong afterburn. Wouldn't even use it as a mixer. Just skip it. Only have used this in cocktails and it serves that purposed fine. The taste Is weak and full of alcool. Not forse drink and maybe not either forse mixing.